When it comes to planning the perfect Italian getaway, Trips 2 Italy elevates custom packages by offering a variety of tour types and excursions. Options include private tours with drivers or escorts, guided group tours of some of Italy’s hottest attractions, and day trips to surrounding areas. No matter which one chooses, our tours can help guests experience the most out of their dream vacation. Nearly every region of Italy offers travelers the opportunity to take tours and excursions that are focused on architecture and history. In Italy’s most popular destination, Rome, guests can experience incredible walking tours of some of Rome’s greatest sites, such as the Colosseum, the Roman Forum, and the Pantheon. For a unique experience, take a tour of areas within Castel Sant’Angelo that are normally closed to the public. To escape the city for a day, take a guided excursion to the incredible Ostia Antica archeological park – one of Ancient Rome’s largest remaining sites – or visit the ruins of Pompeii in nearby Naples. In addition, travelers can take private or group tours of any number of Florence’s stunning churches, such as Santa Croce and Santa Maria Novella. In Venice, Trips 2 Italy offers walking tours of the impressive Doge’s Palace, world famous St. Mark’s Basilica, and the historic city center. For a unique experience, tour the Venetian Ghetto – the first and oldest Jewish ghetto in the world. 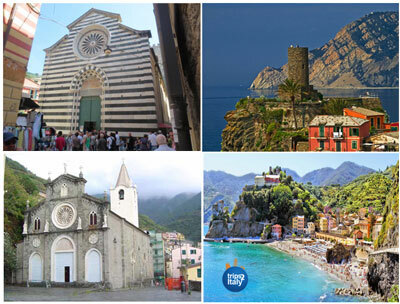 Throughout the rest of Italy, incredible tours help to highlight the country’s vast history and amazing architecture. Literary buffs can experience a private walking tour through Verona to see the legendary balcony of Juliet, or visit the Dante House Museum in Florence. Visitors to Siena can enjoy tours of the city’s incredible architecture, including the Piazza del Campo, Torre del Mangia, and the captivating Duomo. When in Milan, tour the historic city center and discover the La Scala Theater and the Galleria of Vittorio Emanuele II before enjoying views of the city from the Duomo’s roof-top terraces. Whether exploring the Royal Palace in Naples, or the Cathedral of Monreale just outside of Palermo, there is a touring experience in each city available to enhance any itinerary. For religious groups or families of faith, Italy can be the ideal destination to tour some of the world’s most important religious sites. In Rome, take a guided tour of the Vatican – an iconic pilgrimage site for millions of Catholics and Christians around the world – or experience the Christian Catacombs and Appian Way firsthand. In Umbria, visit Assisi, a charming town known for being the home and burial place of the famed St. Francis. 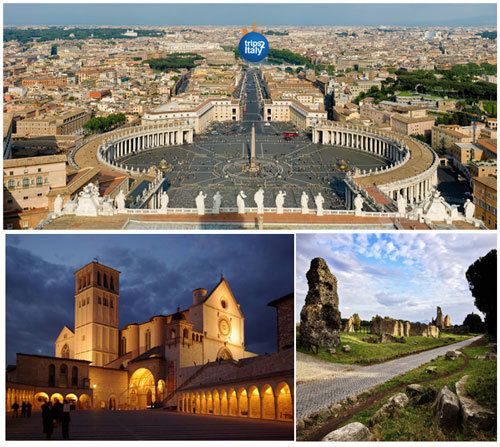 While there, tour the amazing Papal Basilica of St. Francis. No matter what one’s religious affiliation, viewing some of these sacred sites is sure to enhance any vacation. As the home of the Renaissance art movement and the birthplace of some of the world’s greatest artists, Italy is certainly not lacking when it comes to art. Trips 2 Italy offers art-focused tours which are guaranteed to enhance any vacation. In the Eternal City of Rome, travelers can take a small group or guided tour of the Vatican museums. Within the museums, travelers will find the incomparable Sistine Chapel – home to the incredible ceiling fresco by Michelangelo – as well as 54 galleries containing tens of thousands of works of art. Afterward, take a tour of St. Peter’s Basilica, the inside of which is teeming with art at every turn. 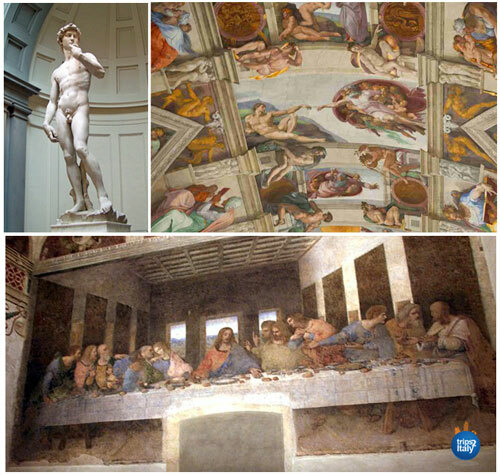 If visiting Florence, also known as the “Cradle of the Renaissance,” tours of the world’s top museums can be arranged. From the famed Accademia Gallery – home of Michelangelo’s statue of David – to the Uffizi Gallery – home to Botticelli’s The Birth of Venus and Italian Renaissance works of art from artistic greats such as Giotto, Caravaggio, Raphael, and Michelangelo – travelers can choose from private tours or group experiences. Trips 2 Italy can even assist with “skip the line” reservations to ensure that travelers have the chance to see every masterpiece without the long wait time. Whether providing access to hard to find tickets for viewings of Da Vinci’s The Last Supper in Milan or giving tips on which hidden gem museums to visit in cities all throughout Italy, our travel experts can arrange tours and excursions that focus on the incredible artistic offerings of Italy. No matter where one is vacationing, experience hands-on cooking classes and demonstrations of traditional regional dishes. Some experiences even allow participants to shop for ingredients at traditional shops or local markets before preparing the recipes from scratch. Home to some of the world’s best wine production areas – Chianti, Brunello, Alba, Piedmont, and more – Italy is ideal for wine lovers as well. Travelers can take winery tours, experience wine tastings, or enjoy food pairings. 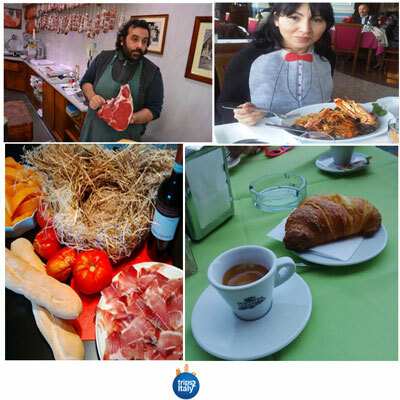 From pasta and gelato making classes to tours of local establishments, our culinary-focused tours and experiences will be the highlight of the trip. Italy is so much more than art, history, and architecture. For special interest groups or families looking to experience something more unique, we offer a variety of tours that are unexpected. For example, travelers to Siena can experience a private day trip to the towns Arezzo and Cortona, famous for inspiring the film “Under the Tuscan Sun.” Families visiting Sicily can trace their Italian roots by taking private excursions to towns like Corleone. No matter what interests one has, the perfect tour or excursion is awaiting in Italy. Photography enthusiasts can experience Italy through their camera lens by taking photography tours. Capture the beauty of the country’s natural landscape in regions like Trentino Alto Adige, or snap stunning photos of architectural masterpieces and natural beauty all across the country. No incredible vacation would be complete without some shopping for souvenirs and local goods. In Florence, travelers can take shopping tours to local establishments famous for fine products including leather, paper and stationary, and gold jewelry. Throughout the city and surrounding Tuscan countryside, food and wine tours can be arranged – offering the chance to sample and purchase artisanal products like wine and cheese. If visiting Milan, one must take a tour of Milan’s fashion district. A world-famous fashion capital, Milan is home to shopping of all kinds – from unique vintage finds to exclusive, designer boutiques. Italy is a prime destination for the car enthusiast. The region of Emilia Romagna in Northern Italy is perfect for those interested in luxury vehicles. The Ferrari Museum in Maranello offers tours for travelers to see the Fiorano track and factory complex. In Bologna is the Lamborghini museum and factory, offering in-depth tours. Italy is also the perfect place to get out on the road. Trips 2 Italy offers day excursions where travelers can tour the Tuscan countryside on the iconic Vespa scooter or in the classic Fiat 500. Italy features a varied geography. Whether skiing in the Italian Alps in the Aosta Valley, marveling at the incredible seaside views from the cliffs in Cinque Terre, or enjoying snorkeling, scuba diving, or water sports on the Mediterranean, travelers can take guided day trips and excursions to some of the country’s most incredible natural locations. 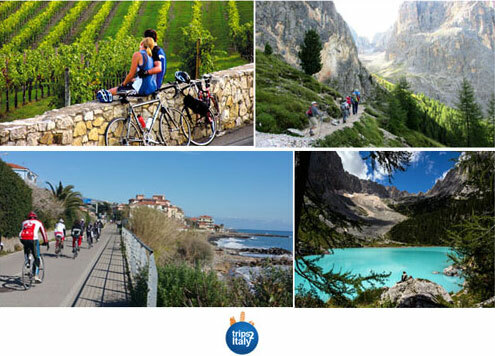 One of the biggest draws for nature lovers is Italy’s amazing array of hiking and biking destinations. Trips 2 Italy’s travel professionals can add guided excursions to any itinerary. From the stunning Gran Sasso Mountain nature preserve in Abruzzo to the cliffside trails of the Amalfi Coast to the lush national parks in Cinque Terre, Calabria, and the Aosta Valley, travelers can take private treks to experience views, wildlife, and nature in a one-of-a-kind way.